When a Parent Refuses Safety Measures, What Can You Do as a Caregiver? Your mother has been stubborn. It’s causing you a great deal of frustration and anxiety. She won’t listen to anything you have to say about her safety and well-being. Maybe you’ve been her primary family caregiver for a while. Maybe this is something relatively new, perhaps following a hospital stay. Whatever the case may be, most family members, like you, are going to be concerned about her safety. However, if she’s not even listening to your concerns, you may go home and at night, lay awake, unable to sleep, worried that she could have fallen. That can increase the amount of stress and anxiety you feel as a family caregiver and supportive loved one. What can you do in this type of situation? What can you do when your mother or father simply doesn’t want to listen to you about safety issues? Have you considered discussing home health care options with her? She may not listen to that, either, but if you begin highlighting how important it is for her to have somebody there with her, providing support getting up and down the stairs, running errands for her, or even taking her to the store, and you can’t be that person for her anymore, you need to discuss these other options. Realize it’s up to her. She has the right to determine whether or not a home health care aide works with her or if she tries to do things by herself. This isn’t going to alleviate your concerns about her safety, but if you set limits on your time and how much you can help her, she may begin to realize just how much she has been taking advantage of the situation. This could open her eyes and help her see that she needs to consider other options. Discuss the risks, as you see them. You may see certain risk factors differently than your mother. Openly talk about them, but also acknowledge that she may see things a little bit differently. It is not easy, but ultimately you need to respect her decision, whether she wants to rely on experienced outside care or not. You may be worried about her safety, but she is an independent individual who has the right to determine what happens in her life. That may not help you much emotionally, but the more you learn about home health care options, the more you can answer questions you may have about it, the more likely she will consider it, especially when she finally acknowledges her own limitations. 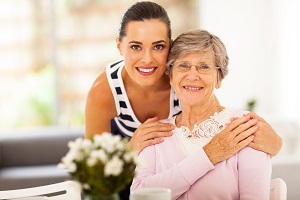 For Home Health Care Services in Arlington TN, please contact the caring staff at Personal Care Services MidSouth today! This entry was posted in Home Health Care Arlington TN and tagged Home Health Care Arlington TN. Bookmark the permalink.